New Zealand has been on your bucket list for a long time. For you, this is a once-in-a-lifetime trip—one years in the dreaming. 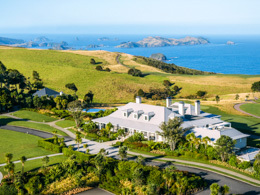 This trip is the one that smashes that bucket list, that rewards your hard work, that hears you when you say, ‘It’s now my time to be looked after.’ World-class experiences and world-class lodges await you, from the warm, indulgent hospitality at Kauri Cliffs to the extraordinary, exclusive setting of Blanket Bay. This is the ultimate New Zealand dream made manifest. An exclusive, luxury lodge located on one of New Zealand’s premier golf courses, with panoramic views of the Pacific Ocean. Each luxury suite offers a private porch, sitting area, and fireplace and includes pre-dinner drinks, canapés, a la carte dinner, complimentary mini-bar and use of lodge facilities. Welcome to New Zealand! This morning, you step off the plane in Auckland and into the tender care of your Black Sheep guide. It’s a scenic drive to Northland, a beautiful, remote region. Arrive at your award-winning lodge located on 6,000 acres of rolling farmland, beachfront, native forest, and fairways. Enjoy spectacular sea views from the private porch of your luxury suite as you rejuvenate after your overseas journey. Enjoy a day at the lodge. Take a special tour of the lodge’s working farm with the farm manager as your guide. Consider a picnic on Pink Beach, comprised of minute pink shells and fringed by magnificent pohutukawa trees. Or play the best golf of your life (or that’s what you can tell them back home) on Kauri Cliffs’ designer course, played along the cliff tops, forest and farmland of the property (additional charges apply). This day is spent in the wider Bay of Islands region. Walk amongst giant kauri trees, rivaled only by the redwoods in girth. Visit New Zealand’s most historic site, where the treaty between Maori and the British Crown was signed in 1840. A guided tour of the treaty grounds and cultural performance allow you to immerse yourself in Maori culture before returning to your lodge. Bid Northland farewell and return to Auckland via one of New Zealand’s largest gannet colonies. Perched on cliffs high above a wild surf beach, the colony provides a close-up view of these wonderful birds as they court, breed, and nest. 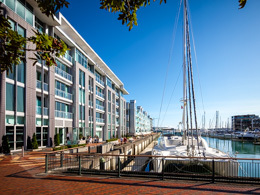 Your Auckland hotel is in the heart of downtown on the vibrant waterfront. Enjoy exploring this evening. 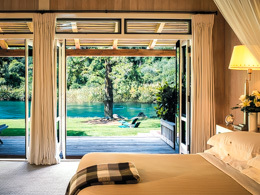 One of the world’s finest lodges, perched on the edge of the Waikato River and set in magnificent grounds ranked as a ‘Garden of National Significance’. A pool, tennis court, mountain bikes, and more are available to guests. Breakfasts and gourmet 5-course dinners are included. 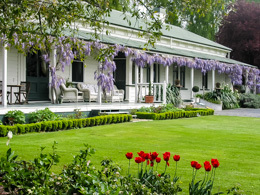 Head south through rolling farmland to Huka Lodge, just north of Lake Taupo, New Zealand’s largest lake. Your lodge is set within 17 acres of magnificently manicured grounds. 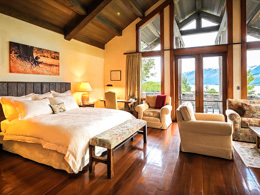 The tradition of fine hospitality is deeply embedded within the Huka Lodge philosophy and it is consistently rated as one of the world’s best luxury lodges. 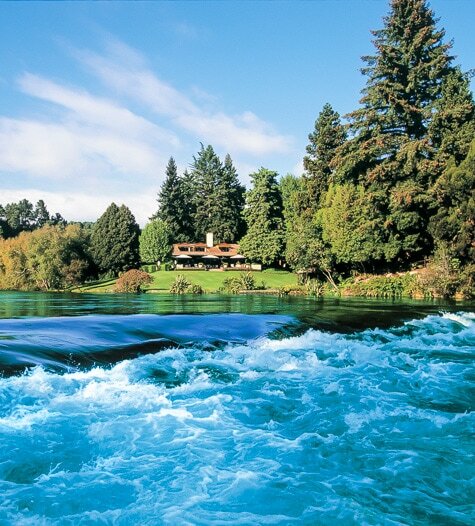 Settle into the lodge and enjoy its facilities and surrounds, with extraordinary Huka Falls at your doorstep. 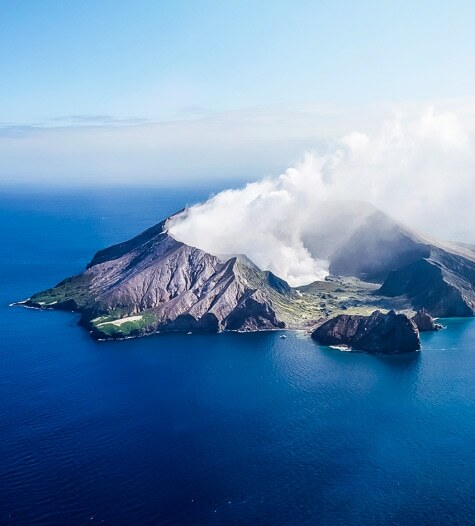 Travel to Rotorua and take a scenic helicopter flight to White Island, an active volcano 48 km (30 mi) offshore. Enjoy aerial views of the active crater before landing on the lunar-like surface. Embark upon a guided tour of the island's crater floor to view active fumaroles, hot streams, vibrant sulphur formations and the steaming crater. Return to the lodge for another relaxed evening. This morning, travel the Desert Road for amazing views of Tongariro National Park’s volcanoes. 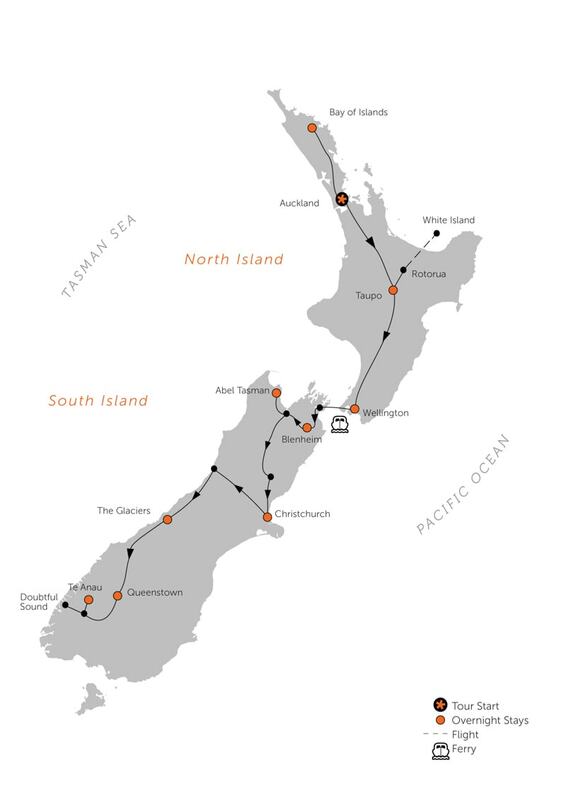 Continue south, through river valleys and along the Kapiti Coast to Wellington, New Zealand’s picturesque capital city, where Parliament and the country’s extraordinary national museum, Te Papa, reside. A gracious, 5-star rated Edwardian Villa built in 1901 and surrounded by 10 acres of farmland, vineyard, olive grove and beautiful gardens. Enjoy olive oil and wine produced on the property and tour the vineyard with the resident winemaker. Ferry across the Cook Strait to the South Island, gliding past the spectacular coastline of the Marlborough Sounds. Landing in Picton, travel to Blenheim and the Marlborough wine region, renowned for its world-class Sauvignon Blancs and Chardonnays. 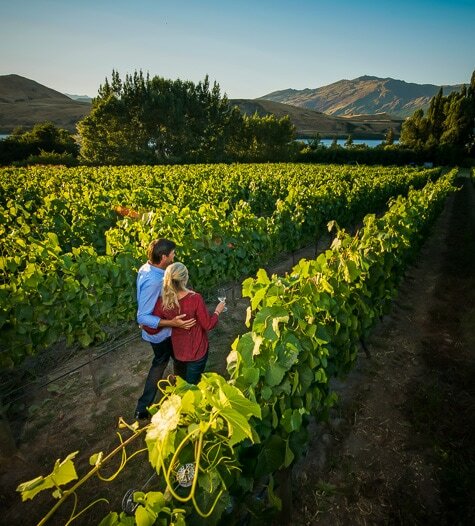 Enjoy wine tastings and a vineyard lunch before heading to your luxury lodge for the night. 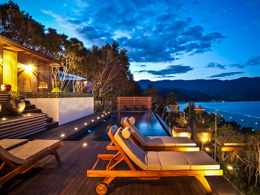 A luxury retreat and wellness spa nestled in native bush overlooking the Abel Tasman National Park. Facilities include a saltwater infinity pool, spa and sauna, and access to massage, acupuncture, meditation guidance and other therapies. Healthy, gourmet meals are prepared each day by the resident chef. Depart Marlborough and travel west to a special, luxury wellness retreat perched on the edge of the Abel Tasman National Park. Pristine surrounds, a saltwater infinity pool, spa and sauna, and private access to beaches provide the perfect spa hideaway. Healthy, gourmet dining is a feature, and stress-reduction therapies are on hand (at additional charge) during your 3-night stay. 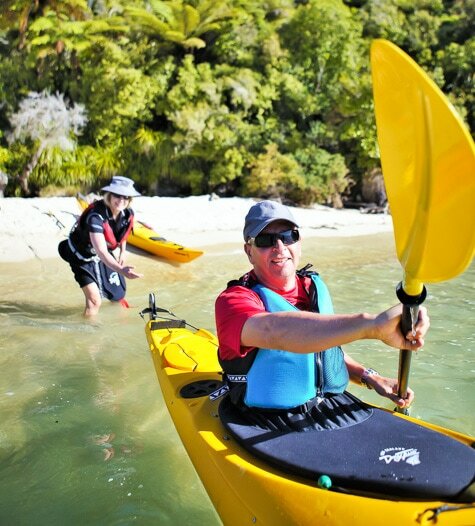 The Abel Tasman, with its temperate forest, aquamarine waters, and golden sand beaches, is arguably one of the most beautiful parks in the country. We have included a special, privately guided hike and sea kayaking experience along its coast, ducking in and out of secluded bays, stopping to stroll along its beaches, and drawing in the tranquil beauty of the sea. Return and relax at your retreat. 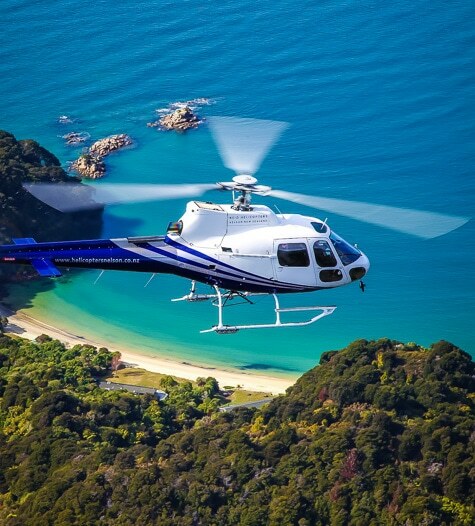 A private helicopter takes you from the Abel Tasman west into the Kahurangi National Park. Mountain and beach landings and a walk on the Heaphy Track, one of New Zealand’s Great Walks, allow you to explore and soak up the park’s stunning diversity on land and from above before flying back to your lodging. 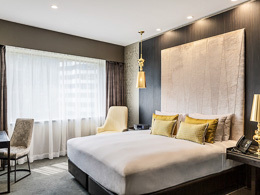 A luxury boutique hotel on the edge of beautiful Hagley Park and a short stroll from the city’s cultural centre and key attactions. It’s intimate ambience, attentive service, and fabulous location make it a relaxing oasis. 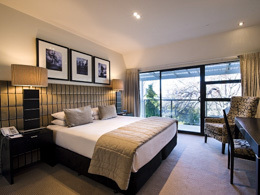 From Nelson, fly south to the city of Christchurch where you will be transferred to your luxury hotel overlooking picturesque Hagley Park. Head out and explore the Garden City’s peaceful Botanic Gardens, Canterbury Museum, picturesque Avon River, galleries, and urban art installations. Board the famous TranzAlpine train for a trip over the glorious Southern Alps, crossing alpine rivers and winding beneath snow-capped peaks enroute to the wild and woolly West Coast region. Rendezvous with your guide and wind your way along scenic coastline and through dense rainforest to New Zealand's stunning glacier region. Start the day with an early morning kayak on Lake Mapourika, the largest lake in the Westland Tai Poutini National Park. Watch for a wide range of birds as you paddle the reflective water, surrounded by pristine native forest. 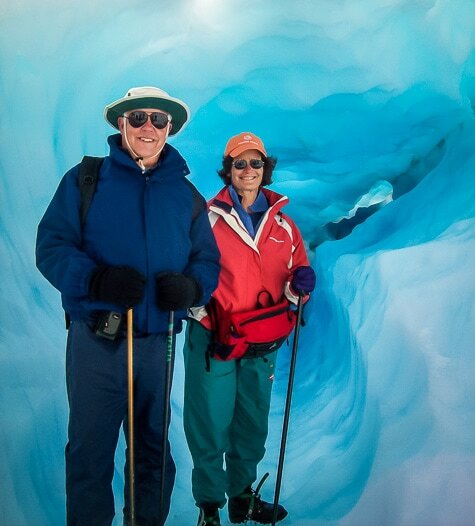 This afternoon, combine the thrill of a helicopter flight with a glacier hike, exploring blue-ice caves, arches and pinnacles on foot with your glacier guide before flying back to home base. Today, it’s a spectacular drive through the Mt Aspiring National Park, with walks to hidden waterfalls, beaches and ancient swamp forest along the way. Stop in the peaceful lakeside town of Wanaka before crossing the Crown Range to Queenstown. Along the shores of lovely Lake Wakatipu is our superb, luxury lodge at Glenorchy, a stunning setting in which to be based for the next few days. Queenstown is the ultimate outdoor playground, with just about every imaginable bucket-list item available. Given that, and with two National Parks at your doorstep, we have left this day free for you to pick and choose whatever optional activities you desire. Our Detailed Itinerary has recommendations, or talk to one of our Travel Shepherds about how to make the most of this day. Today, take a scenic jetboat safari up the Dart River valley, deep into this breathtaking World Heritage Area. 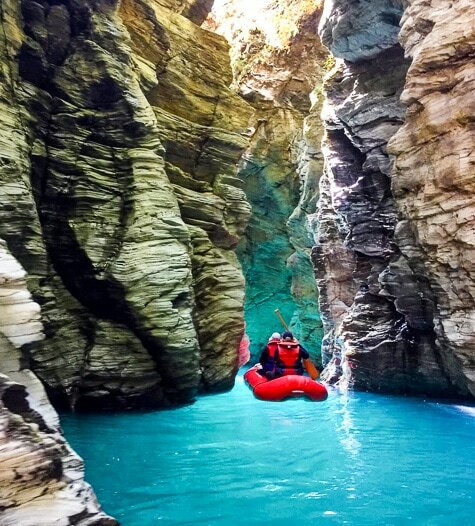 Disembark and board an inflatable canoe for a leisurely paddle back via the awesome Rock Burn Chasm, accessible only by canoe and seen by a lucky few. Pull your canoe up onto the shore of Paradise and return to Blanket Bay. 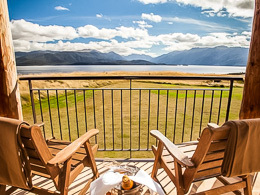 An exclusive luxury lodge with commanding views over Lake Te Anau. Soaring log trusses in the lounge replicate the grandeur of the Fiordland National Park landscape and frame a large open fireplace made from local river stone. A perfect base for exploring this World Heritage Area. This morning, depart Glenorchy for a drive through rolling countryside and red tussockland to your lodge overlooking Lake Te Anau, the South Island’s largest lake. 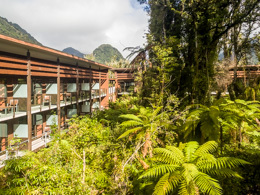 Inside, the open architecture of the lodge reflects the vastness of the Fiordland National Park. Echoes of the forest are found in the striking natural timber construction, hinting at the wilderness splendor that awaits. A very special excursion to Doubtful Sound awaits you today. Cruise alongside waterfalls, rainforest and mountains that rise from the water as you make your way to the Tasman Sea. Your onboard nature guide will help you look out for bottlenose dolphins, fur seals and, when in season, rare Fiordland crested penguins. Return to your lodge and reflect on this special day. 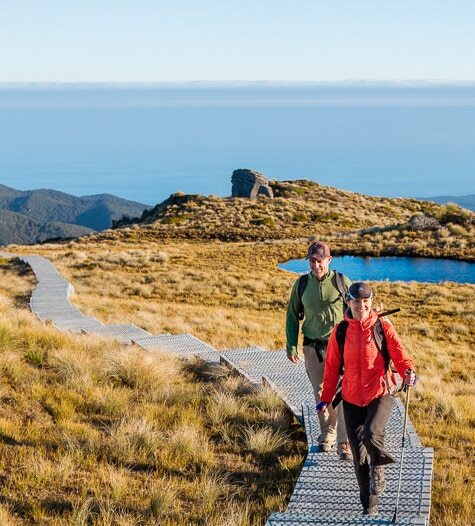 Today take a guided heli-hike on Fiordland’s Kepler Track, another of New Zealand’s Great Walks. A scenic helicopter flight takes you over hidden lakes, beech forest and alpine meadows to Luxmore Hut. Explore the alpine tussock fields and enjoy panoramic views of the surrounding Fiordland mountains before descending through native beech forest to Brod Bay for your boat cruise back to Te Anau. Enjoy a farewell dinner this evening. On your final morning, travel to Queenstown Airport for your flight home or to your next destination. Spend your flight looking through your vast array of photographs and wondering whether your Black Sheep guide is available for adoption.